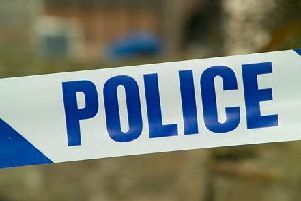 A disciplinary hearing is to be heard following allegations of gross misconduct against a Lincolnshire police officer. The hearing will take place from Wednesday, July 13 to Friday, July 15, starting at 9am at Lincolnshire Police headquarters, Deepdale Lane, Nettleham. At the hearing, Sergeant Philippa Rowson will answer to allegations of gross misconduct following a public complaint. The allegation involves breaches of the Standards of Professional Behaviour relating to ‘use of force’, ‘authority, respect and courtesy’, ‘discreditable conduct’ and ‘duties and responsibilities’. The is a public hearing and will be heard in front of a panel. If you wish to attend, e-mail your personal details to psd@lincs.pnn.police.uk or call 01522 558013 before 9am on Tuesday, July 12. The force will reply with a reference number to attend which you should bring with you to police headquarters on the day. Anyone wishing to attend will need to email: full name and address; date of birth and role (if you are representing an organisation). The panel chair has the right to exclude anyone attending the hearing at any point during the proceedings if valid objections to their presence are raised.